The Modern lap quilt is my most popular quilt. This picture illustrates why! Highlights different size graphics beautifully-notice the yellow ski doo block! For those of you that know me, know I love snow. 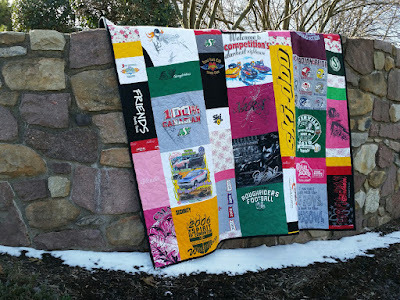 I was thrilled to find this small patch of snow for this quilt that is all about snowmobiling!